Being a student at any level of education can be quite tasking and fun at the same time. Tasking because you have to go through a lot of course work and fun as you have to explore and experience interesting moments. In the mix of all these, taking up a part-time job is one of the best things you can ever think of doing while at college. Think about it, you need money to have that “fun” formerly stated and the time you use preparing for classes serves as ample time for study and learning. As tutoring is the most popular of all part-time jobs amongst students, the questions arise of how to start, whom to tutor and why it is among the best part-time jobs for students. Why Should a Student Tutor? Very flexible: The timing for tutoring is quite flexible and can allow students to combine their studies effectively with work as opposed to fixed time jobs which might clash with classes. Imagine what it would be like to have a flexible side job; you can work as you want. Intellectual profit: Tutoring requires research before sessions, and if you are tutoring in your field or another field of study, this research will only help to broaden your knowledge. Helps your resume: A tutoring job on your resume helps you stand a better chance of landing jobs once you are out of college. You’re your own boss: Becoming a tutor means that you are your own boss. You can choose your pay and when and where to hold your sessions. Who doesn’t want that? Identify your strongest subjects and opt to tutor in them. If you’re a science major and love biology, then you should probably tutor for science courses. Advertise yourself and look out for opportunities to help others for free first, then you can move up to paid tutoring once you gain the experience. Reach out to other students in your courses that seem to be having trouble. As they are your aquaintances, they are more likely to take an interest in your help. When looking to be a financially independent student, being a tutor is one of the best options any student can take advantage of because it lets students combine studies with work giving them all the flexibility they can ever desire in any job. 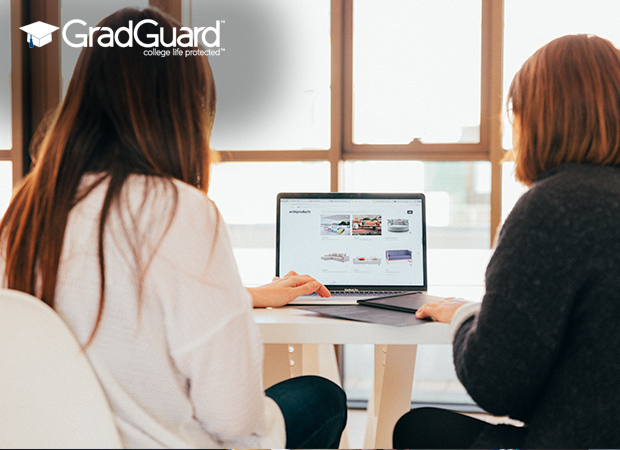 Remember you can always refer to GradGuard for all of your Tuesday Tips and college hacks! Follow us on social media to be sure you are always in the loop. BIO: Lori Wade is a content writer who is interested in a wide range of spheres from education and tutoring to marketing. If you are interested in writing or tutoring you can find her on Twitter or LinkedIn or find her on other social media. Read and take over Lori’s useful insights!